What are the benefits of membership with The IIA? By becoming a member of The IIA, you open up connections to a worldwide community of internal auditing peers, boosting your ability to network, land your dream job, and sharpen your professional skills, all while staying in touch with developments at the forefront of the industry. Overall, you gain a lasting career advantage and the ability to give back to the profession. You also enjoy special member support from Gleim, a CIA review provider with 35+ years of exam prep experience. If you’re planning on becoming a CIA, you should also plan on becoming a member of The IIA. The benefits are many, including savings on CIA fees, and we break them down for you below. When you become a member of The IIA, you’re instantly connected to an extensive professional support system. As an IIA member, you have access to networking and recruiting channels, such as your own local chapter of The IIA, as well as the Audit Career Center. The IIA has created Vision University, a program designed to train and prepare Chief Audit Executives for challenges unique to their professional role. Members can receive a customized selection of exclusive publications, news, professional insights, and more, all of which are created and curated for auditors and stakeholders. As a member, you can act as a subject matter expert, writing for publications, speaking at events, mentoring peers through your local chapter, and more. There is much more to be gained through membership, and the perks go beyond The IIA’s resources. Gleim CIA extends special offers and support to CIAs and CIA candidates who are also members. 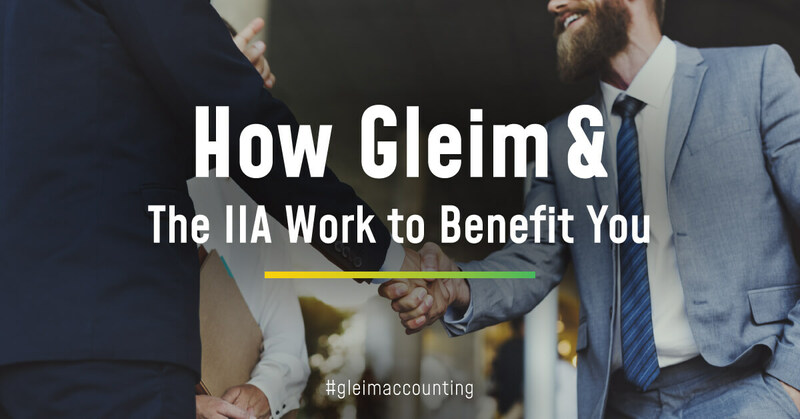 Gleim strives to advance the CIA profession by helping local chapters of The IIA, as well as students, educators, auditors, and anyone else with an interest in the field. Dr. Gleim strongly believes that local chapters are of particular importance to those entering the field–students who have just begun their CIA journey can benefit from quality mentoring and access to resources that will help them succeed. Your success is important to Gleim, and earning your CIA is just the beginning of the journey. As a CIA, you’re on your way to opening doors and advancing your career. As an active member of The IIA, your opportunities, your resources, and your networks multiply even further. If you haven’t yet started, the first thing you should do is get Gleim’s free CIA Exam Guide, which will prepare you to take the steps needed to become a CIA. Once you’re familiar with the exam and you’re ready to begin studying, get an early boost toward exam and career success by getting involved with your local IIA chapter! Melissa, one of the many experts here at Gleim that aim to provide our customers the best study experience possible, holds a Bachelor’s degree in Communications and Social Sciences from Flagler College. 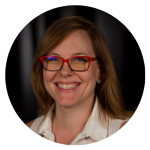 Melissa has spent over a decade becoming an expert in the accounting review course industry and serves as the CMA, CIA, and EA Product Manager. She is a member of The Institute of Internal Auditors (The IIA) and Institute of Management Accountants (IMA). Melissa’s many hobbies include traveling, yoga, and cheering on the Florida Gators.